Dolcificante naturale a base di foglie di Stevia - ESI S.p.A. 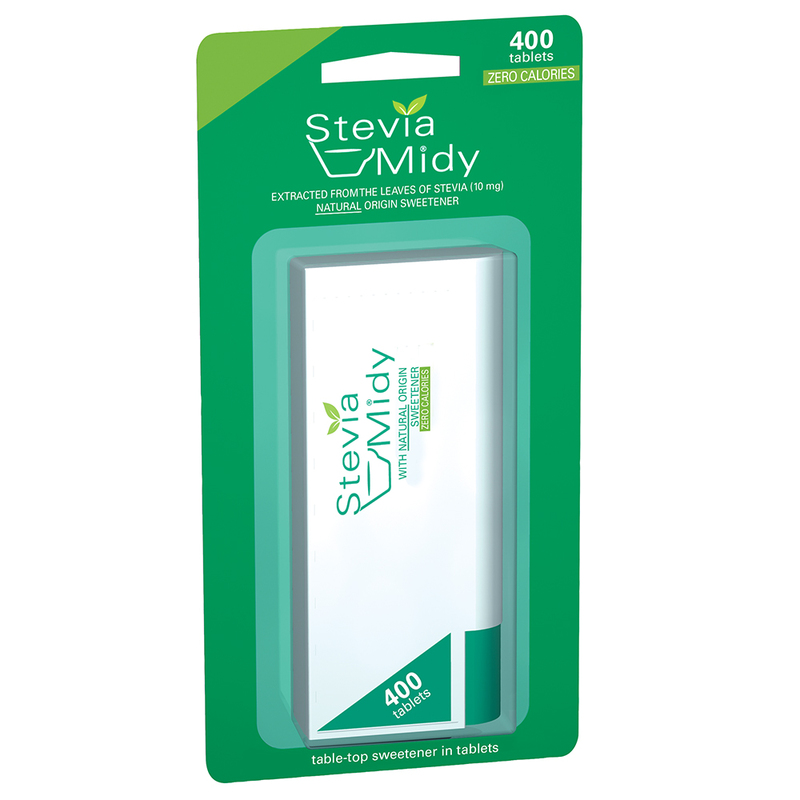 This table sweetener is made with steviol glycosides, a Stevia rebaudiana B leaf extract. The Stevia plant is traditionally used by South American populations and is a natural sweetener derived from what is known as steviol glycosides (which is 300 times sweeter than sugar and contains no calories). 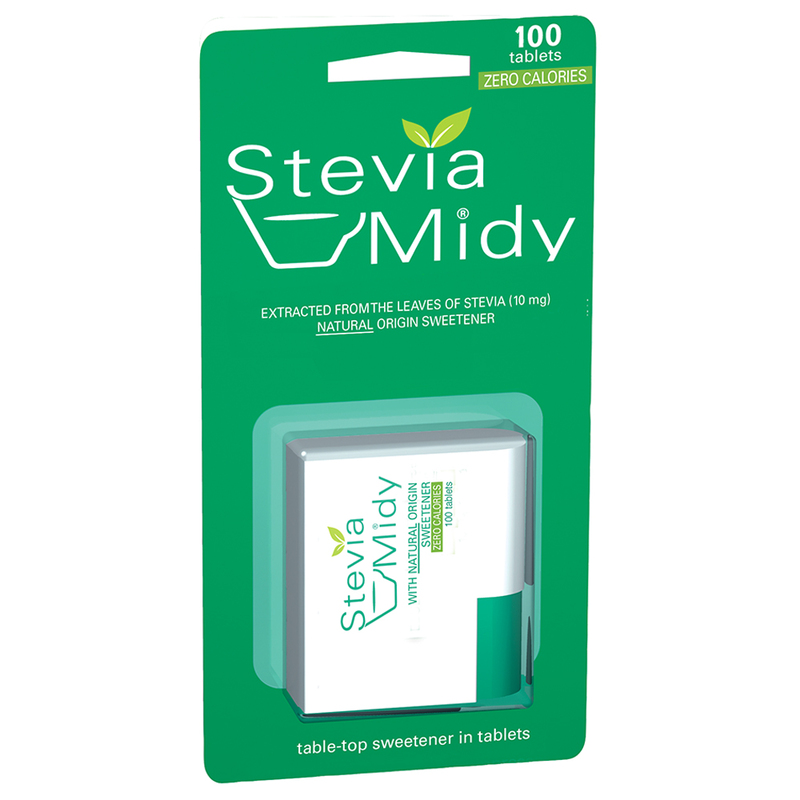 Stevia Midy is ideally used in hot drinks (coffee, tea, herbal teas ...). One tablet of sweetener tastes like one teaspoon of sugar. Its new and practical dispenser style container makes it easy to always have your sweetener on hand; calorie, sugar, aspartame, and saccharin free. This product is suitable for diabetics. 1 or more tablets in your coffee, tea or other drinks.